Despite a move to renewable energy, particularly in Europe, demand for coal globally soared in 2018, led by low calorific value (CV) coal demand. The strongest import markets were China and India, while Indonesia performed extremely strongly on the supply side. China’s demand for coal strengthened in the first half of 2018, and eased towards the end of the year. This year, however, looks "deeply uncertain", says IHS Markit research and analysis manager Sareena Patel. “The situation has changed in China. A lot of local producers are starting to improve their output, which will facilitate local supply. A lot more nuclear power is also coming on line this year in China, making China a little less attractive as an import destination,” Patel told the Southern African Coal Conference, in Cape Town, on Friday. Coal consumption in India ramped up in the second half of last year, and is expected to do the same this year. “This year is an election year in India. Power supply is usually used as a political tool to appease the public,” said Patel. Most of the growth outside of China and India was driven by South and South East Asia, where new power plants were coming on line. 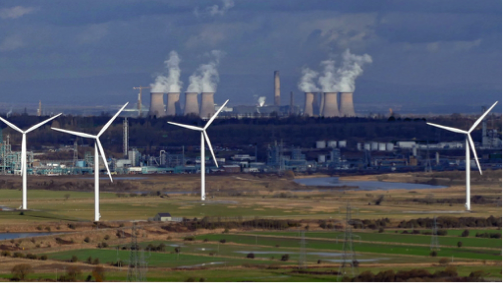 Europe continued to decline, in line with its shift to renewables and legislation aimed at phasing out coal generation. Exports to Turkey – Europe’s last remaining growth market for coal – declined on the back of the country’s political and economic situation last year. Patel said supply side growth in 2018 was led by a boom in Indonesian volumes. South Africa had some capacity constraints, although it had the potential to grow, said Patel. Columbia, a traditionally strong coal exporter, experienced severe weather issues, which had an impact on its core markets. Patel anticipated that demand for coal would continue over the next decade. However, major markets like China could eventually shift policies towards cleaner energy. Patel said steam coal price volatility had been increasing since 2017. The other big trend was that differentials for lower quality coals had widened. Supplies of genuine 6 000 kcal/kg coal tightened, due to fewer suppliers being able to meet the quality and supply issues. Producing 6 000 kcal coals involves a degree of washing, which adds to the cost. Many producers in countries like Australia, Columbia and South Africa could also not afford to produce a 6 000 kcal spec anymore, said Patel. Patel said buyers, even some more conservative Japanese producers, were increasingly testing lower CV coals. She said most new boilers had the ability to use a wide range of CVs globally.